Sarah Jane McKinney takes over her father’s cattle ranch on the Texas Coast following his tragic death. After a harrowing cattle drive, she sells off the herd saving only the breed stock. Amid this turmoil Sarah finds herself distracted by her uncle’s young law apprentice, Frederick Chessher. In order to court Sarah, Frederick must end his relationship with another girl. He leaves Sarah not knowing that a great storm is brewing in the Gulf of Mexico. 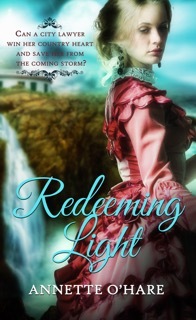 While Sarah and her family seek refuge in the Bolivar Point Lighthouse, Frederick rushes back to her. Will he make it to Sarah in time, or will he be claimed by the storm like thousands of others? “I can’t believe it’s you” The man wore a long French riding coat, a tweed newsboy cap, goggles and a smile the size of Texas. “Miss McKinney, I’ve found you.” Frederick Chessher exuded with pride, shucking the leather gloves from his hands. When he stood right in front of Sarah he pulled the goggles off revealing those emerald green eyes that haunted her dreams. Then she remembered what he’d done and scowled at him. “Were you trying to start a stampede? Do you have any idea how bad that could have been?” Sarah had finished her rant. “No! ” Frederick raised his hands in defense. “I…I didn’t, I don’t! I mean…I’m sorry!” Struggling to get his words out, every ounce of confidence seemed to melt out of the man. Sarah detected something in his eyes. Was it remorse, or perhaps regret? His composure revealed that he had no idea what he’d done. Her expression softened as she glanced at Frederick, then at his automobile and then back at him. “Looking for me? But why?” Sarah’s face revealed her confusion. She held up her hands in question. 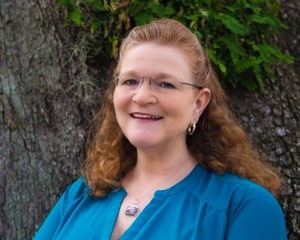 Annette O’Hare is an award-winning inspirational author living in Southeast Texas with her husband, Dan of thirty-four years. The O’Hares enjoy saltwater fishing on the Gulf Coast and spending time with family. Annette’s love for the history and heritage of her home state shines through in her writing. A member of American Christian Fiction Writers and ACFW Writers On The Storm, Annette’s desire is to reveal God’s love to her readers and hopefully give them a laugh or two. The O’Hare’s are the proud parents of three grown children and two loveable rescue dogs. I just learned about this event last year. Terrifying! It was. I read several books about it and watched a documentary. Very scary! Thank you for your comment Tanya! I am very interested in research about the Great Storm of 1900. It’s hard to fathom over 6,000 people dying in a hurricane. It remains today as the worst natural disaster to ever hit the U.S.
Me too, Jody. I’ve always been fascinated by that storm. Wow…what a beautiful premise! Great excerpt too and absolutely LOVE that cover! Thanks for sharing. This sounds suspenseful. Gail, the book is set during Galveston’s Great Storm of 1900. It remains today as the deadliest natural disaster to ever hit the U.S. Researching this novel was a chilling experience! Thanks Ruth! I’m very proud of how both my covers turned out. The folks at Pelican Book Group do a great job! Thank you for being here today, Annette. Your book is definitely on my summer reading list!